You take care of us - let us take care of your mortgage needs! As a medical professional, you may be ready to purchase a home but can't find a mortgage loan program that fits your needs. Our Medical Professional Program provides financing for eligible medical doctors and dentists, and could be the solution you need to reach your homeownership goal. 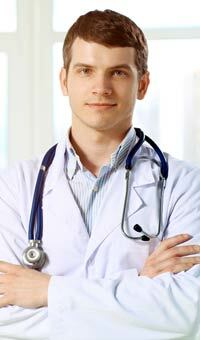 What Are the Details of the Medical Professional Program? You have a rewarding career - are you ready to add a dream home to the picture? We certainly hope so. Contact a mortgage loan professional near you to learn more about your options. Eligible individuals include medical residents, existing or new licensed Medical Doctors (MD), Doctors of Dental Science (DDS), Doctors of Dental Medicine (DMD), Dental Surgeons specializing in oral and maxillofacial surgery (DMD), Doctors of Ophthalmology (MD), Doctors of Podiatric Medicine (DPM), and Doctors of Osteopathy (DO).